There’s nothing I love more than adding a staple piece into my wardrobe – Hence why I’d like to introduce you to my newest additions/obsessions, these Zara boots. Knee high boots are something that I’d been eyeing up since last year but never felt confident enough to wear them; However… something in me changed this year and I honestly just had to have them (Impulse buying at its finest really). I think they really add edge to an outfit and are perfect for transitioning into winter too. I loved styling them with this mini dress and felt quite 60’s walking about town. I adore how feminine knee high boots look on, they’re truly so versatile too. I’ll definitely be wearing them more during the winter, even for nights out. 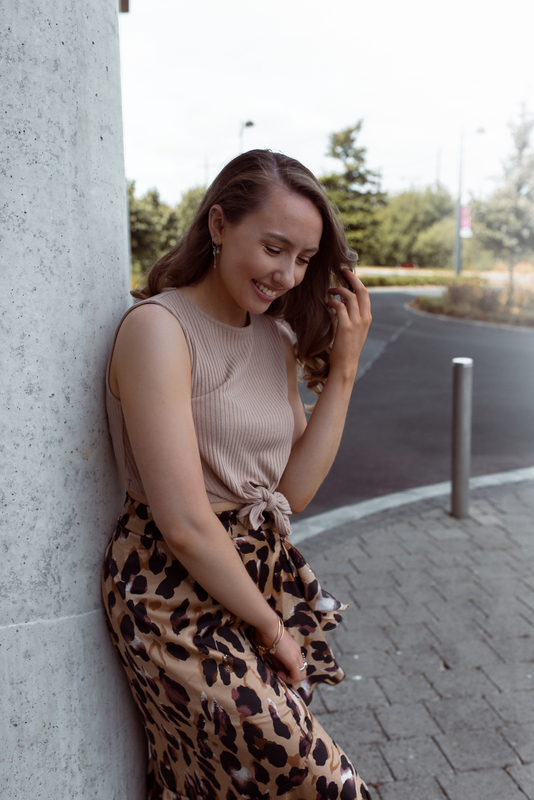 It’s crazy to think that one item of clothing can actually change how you feel out and about – anybody else notice that?! I think those simple, staple pieces can simply change the look and feel of an outfit, thus impacting how you feel. I’ve been following Nourish With Noelle‘s #MindYourMood campaign all this week, which was in conjunction with Suicide Prevention Week. Noelle is a naturopath who educates and supports people on how to nourish their mind and body through Nutrition and self-care practices. For this entire week so many people shared what they do to #MindTheirMood on her Instagram, so I thought I’d share mine here. As you can guess, how I #MindMyMood is dressing to feel good. Wearing clothing that makes me feel empowered and good honestly changes how I feel walking out the door in the morning! Doing little things to #MindYourMood is just so important and I couldn’t help but include this in my blog post. It’s a topic that’s extremely close to home and I want to share more about it on my blog in the future too. Make sure you check out Noelles Instagram & Facebook for more information about the campaign or simply, share with her how you #MindYourMood.